Despite identification of modifiable risk factors, cardiovascular disease (CVD) remains the most important chronic disease in the world, especially for those with diabetes mellitus. Macro- and microvascular complications are major contributors to the morbidity and mortality of diabetes. Diabetic complications of CVD cost over $174 billion annually in the United States alone and account for 80% of all deaths in individuals with diabetes, and diabetes is the major cause of blindness and renal failure. Importantly, neither conventional cardiac risk factors nor the degree of glycemic control adequately predicts which individuals with diabetes will develop vascular complications, suggesting the existence of genetic or nongenetic susceptibility factors. A polymorphism in the haptoglobin (Hp) gene strongly defines individuals with diabetes who are at greater risk of vascular disease. The public health and economic burden of diabetic CVD is staggering, and the prevalence of diabetes is increasing at an alarming rate, particularly among individuals of lower socioeconomic status in the developing world. Tragically, the standard-of-care medications (e.g., statins and angiotensin-converting enzyme inhibitors) to prevent diabetes-related CVD complications are neither affordable nor accessible to these populations. Therefore, there is an urgent need for effective and inexpensive interventions to reduce the public health and economic burden of diabetic complications of CVD. A viable approach lies in the intersection of complementary and precision medicine. One highly tenable pharmacogenomic approach is the use of vitamin E supplementation to target high-risk diabetes patients defined by their Hp genotype. 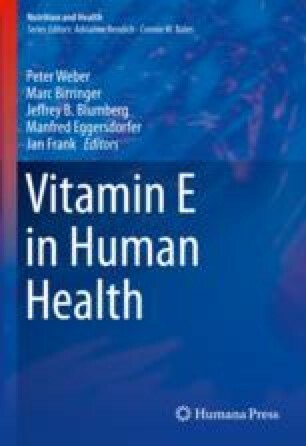 The clinical evidence and mechanistic basis as to why individuals with diabetes who carry a specific Hp genotype are at higher risk for vascular disease and appear to derive cardiovascular benefit with vitamin E supplementation will be presented and the need for a clinical trial discussed.